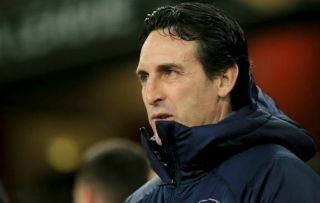 Arsenal manager Unai Emery has been given a huge injury boost with news today that six of the club’s key players are now back in training. This latest injury update comes from the Gunners’ official site, which states Mesut Ozil, Laurent Koscielny, Hector Bellerin, Shkodran Mustafi, Nacho Monreal and Konstantinos Mavropanos are now back in full training. Significantly, five of those six are defenders, which will be news very warmly welcomed by Arsenal boss Emery, whose side have not looked convincing at the back lately. Arsenal have lost three times in their last seven games, conceding three against Southampton and five against Liverpool in particularly worrying results and performances. Having the likes of Koscielny, Bellerin, Mustafi, Monreal and Mavropanos all available to choose from soon will give Emery more options as players like Sokratis Papastathopoulos and Stephan Lichtsteiner look highly unconvincing at the moment. Ozil could also be a good player to have back, even if he has often been benched by Emery this season after being yet to discover his best form under the Spanish tactician, who replaced Arsene Wenger at the Emirates Stadium at the start of the season.